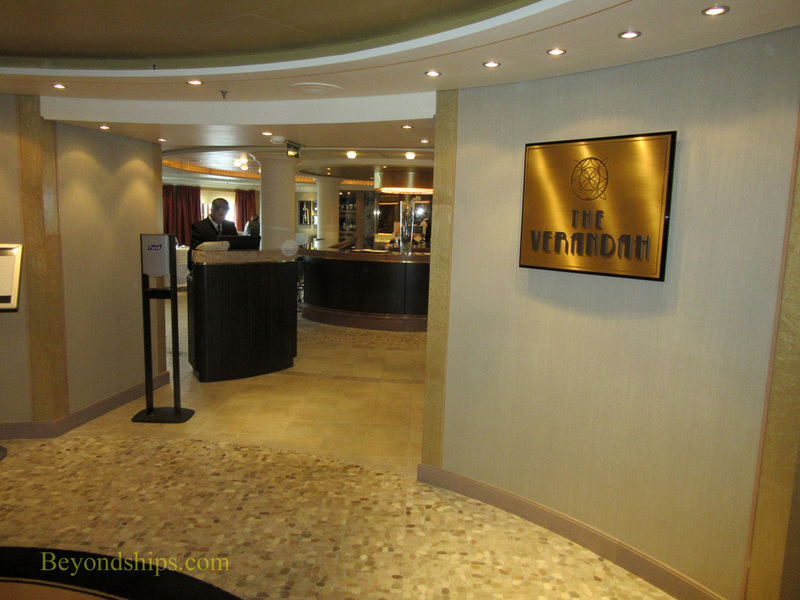 Queen Mary 2 has one purpose-built specialty restaurant The Verandah. 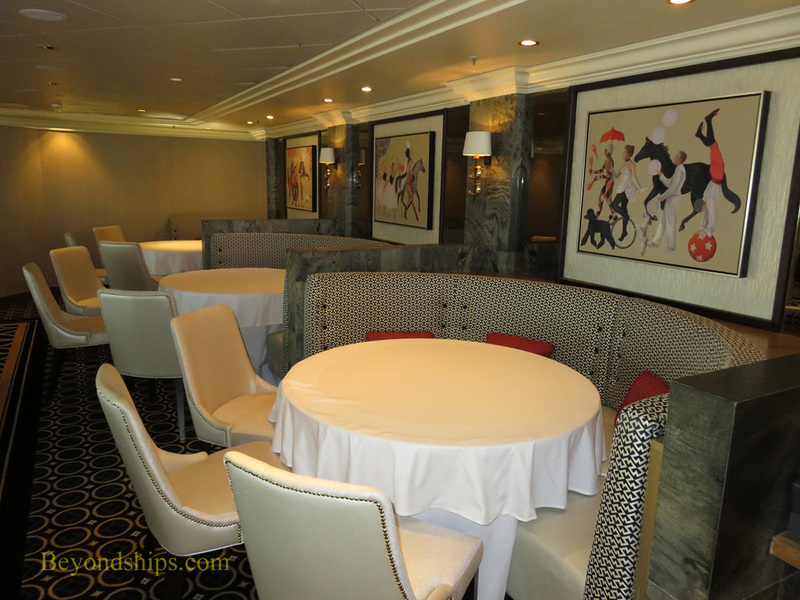 the restaurant is modeled upon the Verandah Grill on the first Queen Mary. 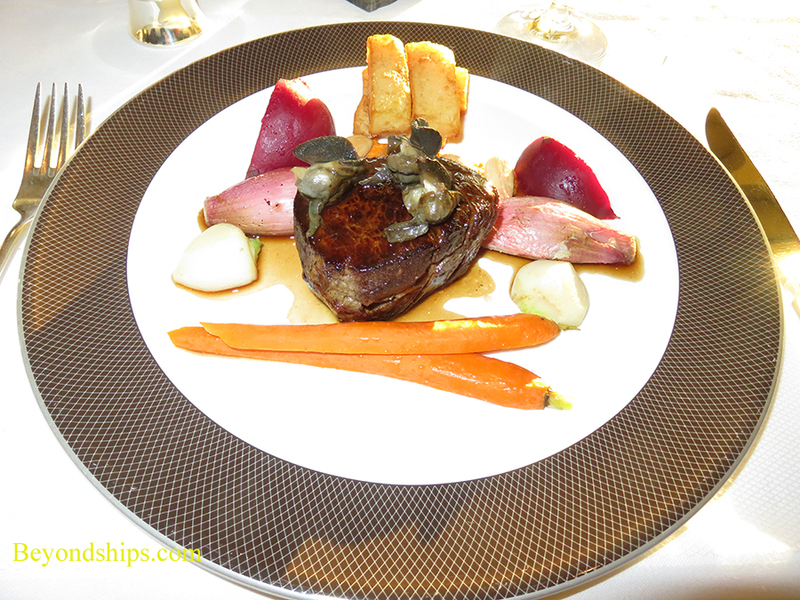 It has a European-inspired menu with high quality service. 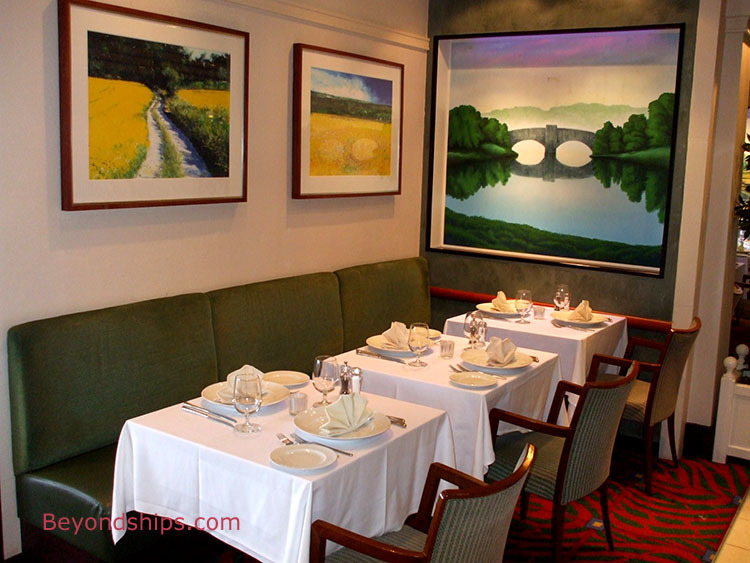 OPen for lunch and dinner, additional charges apply. 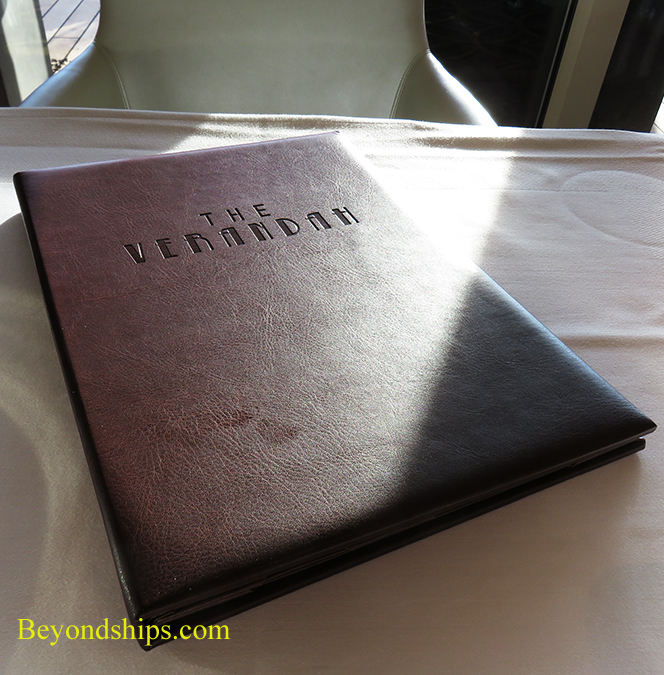 ​The Verandah replaced the Todd English specialty restaurant following the 2016 refit. 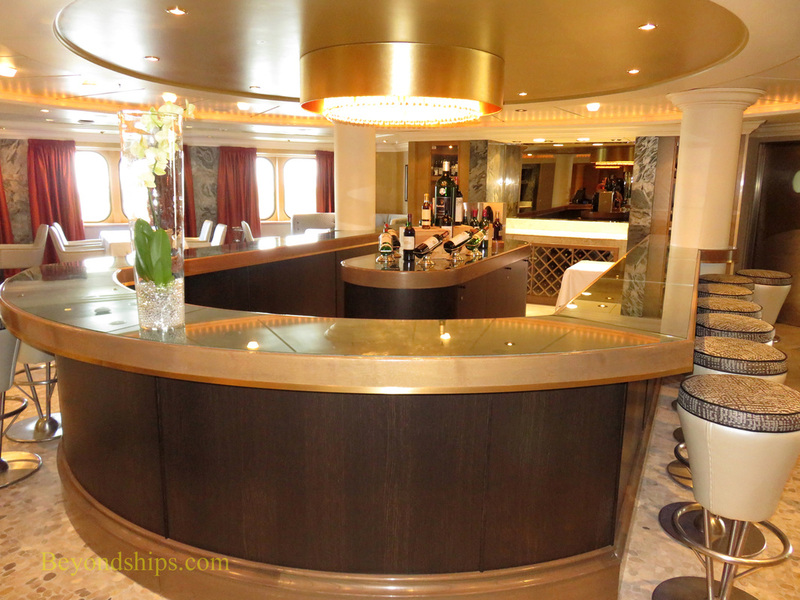 QM2 also uses the King's Court as an alternative dining venue in the evening. 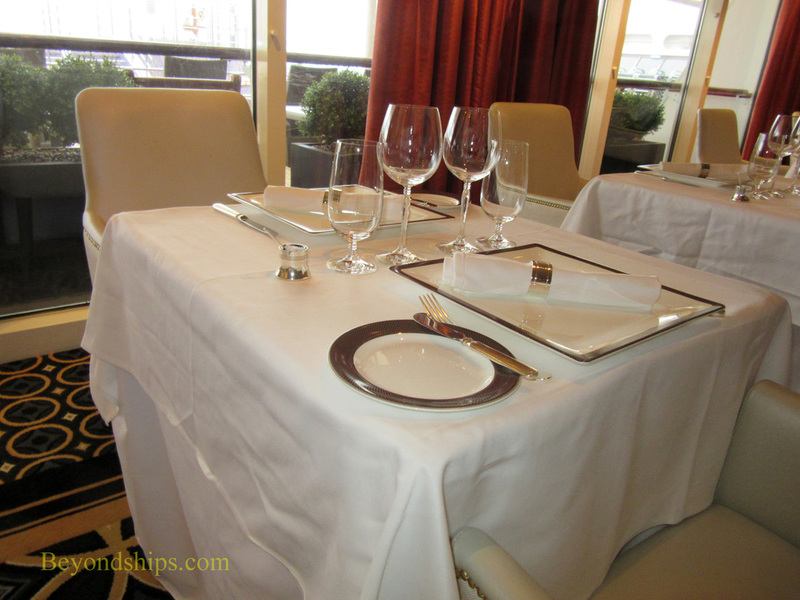 A section of the restaurant is given over for this purpose. 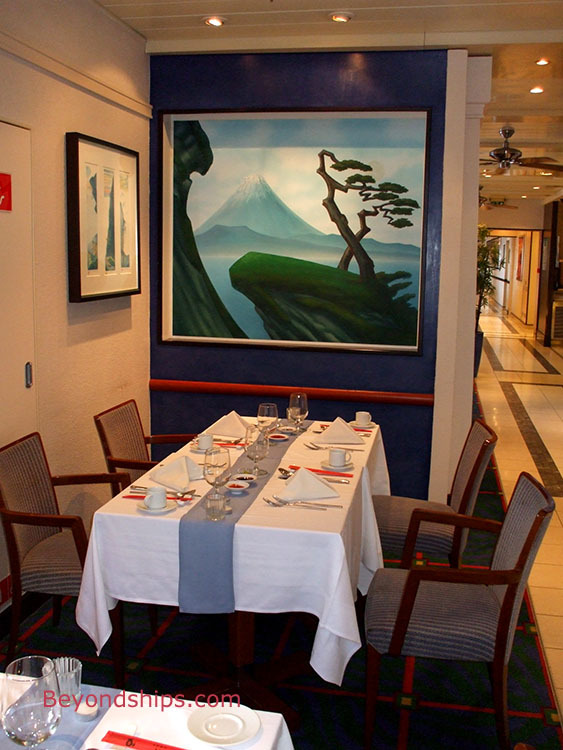 The menu rotates through a variety of cuisines and there is table service rather than a buffet. There is a cover charge.